One of the Boston Red Sox’ most important lingering questions has finally been answered. Dustin Pedroia isn’t going to be with the Red Sox at the start of the 2019 season. According to Pete Abraham of The Boston Globe, Pedroia is going to start the year on the injured list. It’s notable that there was no setback with Pedroia. It just appears that the team is being extra cautious and wants to be sure the 35-year-old is ready to play consecutively before allowing him to return to the squad. With Pedroia on the mend, the Red Sox will be able to carry an extra pitcher to start the season, if they so desire. With the questions the team has in the bullpen, it may make sense to carry an extra arm until they figure out the pecking order there. But either way, for now, Pedroia won’t be on the roster to start the year. Red Sox manager Alex Cora announced the decision Monday, emphasizing that Pedroia has not experienced any setbacks from the injury that sidelined him for almost the entire 2018 season. Get all the latest Betting and Sport News updates on your social media outlets. Pedroia told reporters that he is “ready for Opening Day” but understands why the Red Sox are taking a conservative approach. The defending World Series champions open their season March 28 in Seattle against the Mariners. 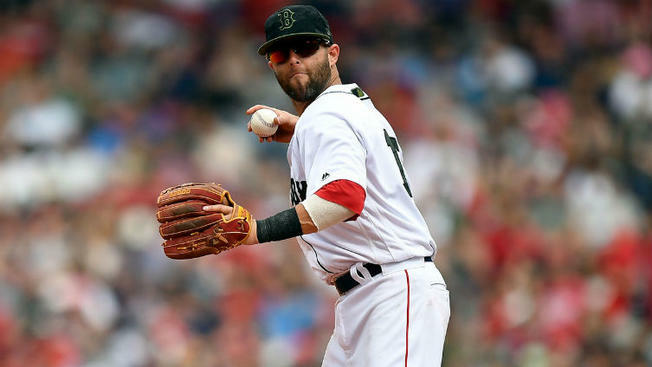 Pedroia underwent cartilage replacement surgery on his left knee after the 2017 season and played in only three games for the Red Sox last season before going back on the DL for the remainder of the season. Check WagerWeb and find the best online betting site.